As Christian women, it is important to dress in modest apparel. I also like to wear skirts to be feminine and distinguish myself from men. If you don't usually wear skirts or a dress, maybe you should try it and see how men treat you more like a lady. Now, many men today are clueless about chivalry, but, we can help bring that back by dressing and acting femininely and reminding them that yes, indeed, we are ladies! 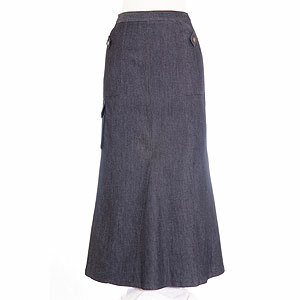 They have only skirts that are modest and to fit every taste. They are a Christian company. Sigrid, the owner, is so sweet and a delight to do business with. I have never been disappointed in the quality of their skirts. 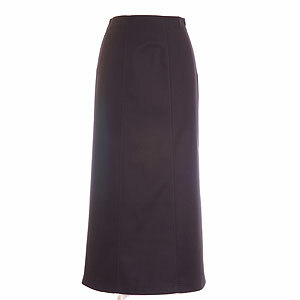 The prices are affordable, and are actually some of the best I've seen for new, modest skirts. The do have a large selection of clearance items with even lower prices. They have the best maternity skirts! I hope this helps you find some modest, beautiful skirts! I really do love this company, and that is why they advertise here on Blessed Homemaking. Happy shopping! Do you have any suggestions on the sizing? I looked at the sizing chart and I'm in between on height and waist. Do they run bigger or smaller than other things? Yes, they are really great! I hope you can get something soon! Oh my! What beautiful clothing! These are skirts that I wouldn't mind wearing. They are actually selling skirts in the stores again, but they are quite ugly and unappealing. If you are in between I would go with the larger rather than smaller size closest to your measurements because the skirt could possibly shrink some after washing.